A major medical study of nearly half a million people spread across 10 European countries covering 13 years has pinpointed processed meats as a significant cause of early deaths. Those who consumed higher proportions of processed meats were found at greater risk of premature death. The estimate was that in Britain perhaps 3,000 lives might be saved each year out of the 100,000 who die before age 65. This 3.3 percent reduction could be gained by limiting processed meat intake to 20gm per day, the equivalent of one rasher of bacon. 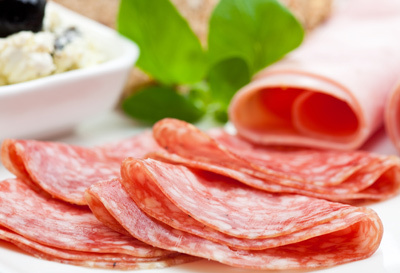 Processed meat means that which has been preserved by being smoked, salted, cured or has had preservatives added to it. It includes bacon, ham, sausages and salami, and is linked to increased incidence of cancer and heart disease. While we should not live recklessly, it’s a good thing to have fun. Yes, some sugary cakes are nice, bacon can be amazingly appetizing, summer barbecues with hot dogs are pleasant, fizzy drinks are refreshing and stimulating, and alcohol is a good way of unwinding in the company of friends. It’s fine for medics to point out the risks that some foods might pose, but not in shrill tones that might raise our stress levels too high. The trick is not to overdo these enjoyments too often. Chill out and make your own decisions about what to eat and drink. Act sensibly, but make sure you have enough fun to stay happy. Can the ‘researchers’ give us the names and addresses of the first 3 out of the 3 000 that ‘could’ be saved? Epidemiological studies are of no value.